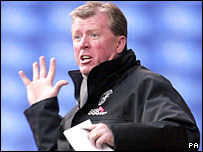 Even as a youngster, Steve McClaren showed a steely determination to make tough decisions. Refusing to choose the easier option of enrolling at a neighbouring school, McClaren instead decided to endure a daily 10-mile round trip on a bike across his native York to Nunthorpe Grammar School. But it was a decision that was to prove him right - as the school placed emphasis on developing young sporting talent. And it was an environment in which the young McClaren, who had passed his 11-plus exams, was to flourish. Lawrie Hill nurtured the future England manager as a 13-year-old at Nunthorpe in the 1970s. He remembers him as a "tiny" schoolboy who was determined to make it in the world of sport. "It's no mean feat to cycle as far as he did, it's hard work doing that occasionally, never mind every day and every night for five years," said Mr Hill. "The head at our school was very interested in sport, he changed the emphasis at the school and employed a lot of staff who were talented at sport. "Steve McClaren's dad was a top squash player but talking to Steve last year he gave the impression that as an 11-year-old he made the decision to come to Nunthorpe himself. "I also taught him art and he was no artist, but his footballing ability lingers a bit longer. "He was outstanding at football, rugby, tennis and squash and for my football team he played in midfield. "He was tiny but he was just so skilful on the ball that he frustrated larger players. "He was head and shoulders above the rest." 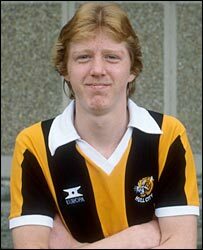 Mr Hill said McClaren remained a small boy throughout his time at the school, but filled out after joining Hull City as an apprentice. "We had a lot of talented footballers at our school at that time, but a lot of them did get lost in the system when they joined big football clubs. "Even at a 16-year-old Steve was smart enough to know he stood a better chance joining Hull, who were then a second division, now Championship, side. "He was unassuming and modest, you wouldn't have known that he was as good as he was at what he did. "He passed his 11-plus, it was a grammar school and it was a good grammar school, he was as sharp as anybody who went there. "But I've been astonished at his progress, I'd love to say I saw it in him as a young child, but he was just a level-headed boy." Mr Hill visited his former pupil at the Middlesbrough training ground last year to interview him for the school's website. "There was nothing in it for him, but he gave up his time. "Just when he walked us round, there were a couple of fans there and he seemed to have the common touch." 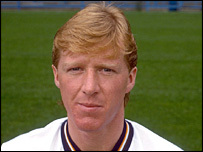 Peter Bibby was head of games at the school during the McClaren years and also remembered him as a good footballer and a down-to-earth boy. He said: "He was a pleasure to teach. He did everything going and you never got an ounce of hassle from him. "He was very level-headed, not your stereotyped ginger-haired lad at all. "I came across Steve probably more playing tennis in the summer - he also played squash and cricket and was a good runner. "I think he captained the school football team, and he played for York Boys at under-15s and I think he represented the whole of Yorkshire. "He was a very promising footballer and got his place as an apprentice at Hull, he was living his dream. "I just remember him as a thoroughly nice young lad, who was calm, very modest and never made a song and dance about anything. "I've only met him once since he left school, but I've followed his career from a distance, you do take a certain pride in them, even if it's questionable how much influence you have on their career. "When he was coming to prominence at Derby, I heard about this guy using all these latest methods, sports science and so on. "Who would have known how far he would go?" Mary Hill, current deputy head at the school - now called Millthorpe School following a merger in the 1980s - said even though McClaren's school days seemed a long time ago there was a sense of excitement among the pupils. She said: "It's a boost for the school. There aren't many people around who remember him but there has been a buzz around the school. "It's good when the pupils see somebody who was an ordinary kid, who was just a pupil like them, being successful. "And, kids being kids, there's always an interest in fame."